We Humanists are science and evidence-based people among whom “transgender” is a valued way of being. We believe that a fetus is a mother’s choice. We celebrate diversity, believe in helping the vulnerable, and believe that all people everywhere are entitled to a chance at a good life. In other words, Humanism is the opposite of what is happening in the US today. Character shows in tough times, however, and we can be justly proud of both the tradition of Humanism and the future we are poised to embrace. If you haven’t read Fantasyland: How America Went Haywire a 500-Year History by Kurt Anderson, you owe yourself that experience. Anderson traces the history of how we could have gotten to a place in which the CDC is prohibited from using words such as “evidence-based” and “science-based.” And, yes, progressive politics and liberal religion has played a large part in developing a nation in which only about a third of our citizens are reality- based in viewpoint. But reflect that no one has ever said of Humanism that “you can believe anything you want”! Your UU Humanist Association had quite a year in 2017. UUHA partnered with the American Ethical Union, the American Humanist Association, the Foundation Beyond Belief, the Secular Coalition for America, and other groups to support Humanism in its growing varieties and appeal. I continue to write a weekly column for Church of the Larger Fellowship on the blog site Medium. If you attended General Assembly this past year, you experienced a well-attended Humanist “worship” that showed how it can be done without Christian or theistic references. If you attended our annual meeting at GA, you were no doubt inspired by Humanist of the Year awardee Dr. Anthony Pinn. We presented our Lifetime Achievement Award to Rev. Dr. William Murray, who died just days after the award. You can see highlights here. As usual, our booth at GA generated a great deal of interest, and Roger Brewin and Maria Greene have presented at numerous churches about Humanism. For GA 2018, we have proposed a session on Black Humanism featuring Rev. Dr. Nicole Kirk, who is writing a book on Black Humanism; Rev. Patrice Curtis, minister at Unitarian Universalists of Clearwater; Rev. Karen Hutt, minister and Clinical and Pastoral Education advisor; and Mandisa L. Thomas, founder of the organization Black Freethinkers. A new volume of Journal of Religious Humanism will be out soon. The volume focuses on two African American Humanist Scholars. The first, Bill Jones, critic of Liberation Theology and author of Is God A White Racist? was celebrated in a UUHA symposium at the 2008 General Assembly. The second, Anthony Pinn, published When Colorblindness Isn't the Answer: Humanism and the Challenge of Race, this past spring. Those pieces are supplemented by an edited text of last fall's Conference at First UU Minneapolis, on "New Humanist Voices for the 21st Century." A diverse panel uses the 100th anniversary of Humanism in the Midwest, to offer projections for a humanist future. UU Humanist Association Vice President Amanda Poppei worked with American Humanist Association Social Justice Coordinator Sincere Kirabo to develop a study guide for Dr. Pinn’s book. That is available here. My congregation, First Unitarian Society of Minneapolis, has just completed a 3.8 million dollar building campaign. Our campaign was titled, “Building Humanism from the Inside Out.” As part of that renovation, we have a new archive room to house the artifacts of the first century of Humanism. The UU Humanist archives will be added to that collection. On another note, long-time supporter Jack Reich has taken on the duties of Membership Coordinator. You will be hearing from Jack! And a last item of interest: the Humanist Institute of which I was Dean has become the educational wing of the American Humanist Association. This consolidates historian partners in the cause of Humanism and insures a healthy future for humanist education. Thank you for being part of the UU Humanist Association. Together we will continue to work for the greater good of humanity. Your year-end gift will help us to support and amplify your values in the UUA and beyond. Please click here to make your donation now. P.S. One easy way to support and strengthen our Humanist witness in Unitarian Universalism is to sign up to give the UUHA a percentage of each of your Amazon purchases. Rev. 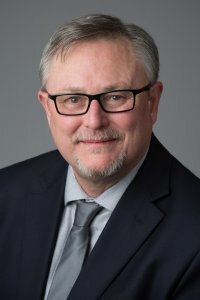 Dr. David Breeden is the President of the UU Humanist Association, serves as co-dean of the Humanist Institute, and is Senior Minister at First Unitarian Society, Minneapolis. David has a Master of Fine Arts in poetry from The Iowa Writers’ Workshop and a PhD from the Center for Writers at the University of Southern Mississippi, with additional study in writing and Buddhism at Naropa Institute in Boulder, Colorado. He also has a Master of Divinity degree from Meadville Lombard Theological School. He blogs at http://wayofoneness.wordpress.com/, on the UU Collective, Quest for Meaning on Patheos, http://www.patheos.com/blogs/uucollective/, and http://revdocdavid.tumblr.com/. He tweets at @dbreeden. David, thanks for the shout-out! My goal as Membership Coordinator is for us to be the biggest organization in America with "Humanist" in its title. And why not? We UUs are already about a quarter million strong, and over half call ourselves "humanist"! Get your friends to join, organize a local Humanist group, you'll be glad you did. - :^J Jack Reich 815-909-0436 anytime!